Now that Memorial Day has come and the neighborhood pool’s finally open, it’s basically summer. And you know what that means: it’s grilling season. 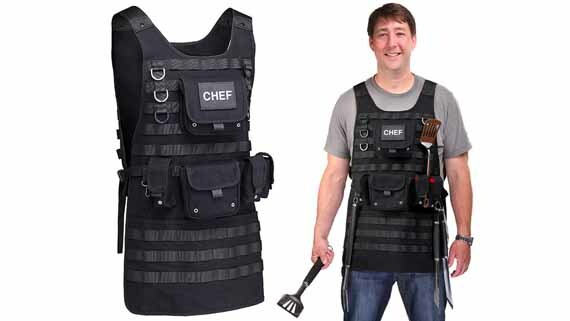 The Tactical BBQ Apron is a must have for the griller who means serious business when it comes to cookin’ meat. 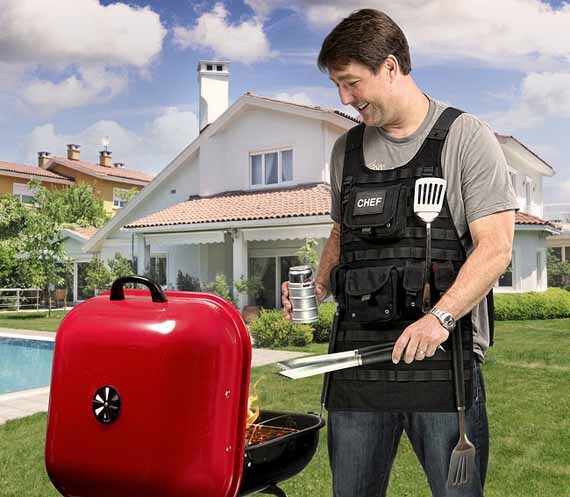 It’s got all kinds of clips, straps, pockets, and pouches perfect for storing things like spices, tongs, spatulas, brushes, and whatever other junk you need to BBQ. Me? Alls I need is some meat and fire and I am good to go. I was raised by bears!